The primary school class 5 students from Miina Härma Gümnaasium draw pictures of their school lunch and sent them with two Estonian ladies to Kongo, Ghana for a display at Kongo Primary School. The Mondo teacher John Bire organised the exhibition on 15th of December 2015. But first the pupils had to discover from the pictures the items of food that are common for both Estonian and Ghanaian students like chicken, tomatoes, cucumber, bread and carrots. But there was also a lot to discover for Kongo students: beloved fruits like cherries were even unknown for the teacher. Another aspect the pupils found bizarre was the fact that most Estonian students drink milk with their lunch. 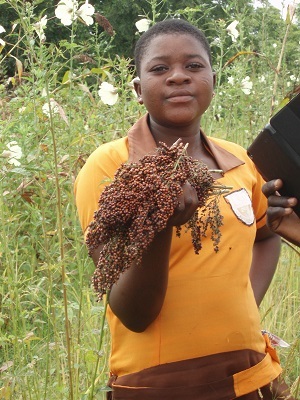 Kongo Primary school is one of the lucky schools that benefits from the national school feeding programme. Not all schools and students have this luxury. When you take a look at the poster, notice also the section dedicated for hygiene in the lower left section and how all of the family is involved in the process: father is farming, mother is cooking and children are happily in school! 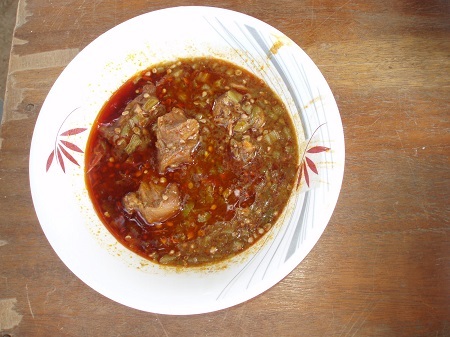 Take a look at the menu and go check what foods were banku and okro! Also compare the menu with yours at school and to the recommended food pyramid. 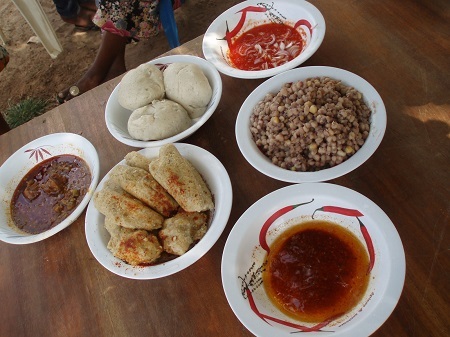 Estonian pupils are eager to receive replies to discover more in detail the Ghanaian food! 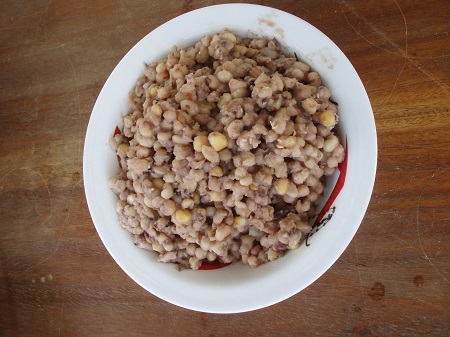 It was World Food Day last Thursday, so to celebrate that Dasabligo Primary School prepared different dishes from maize. 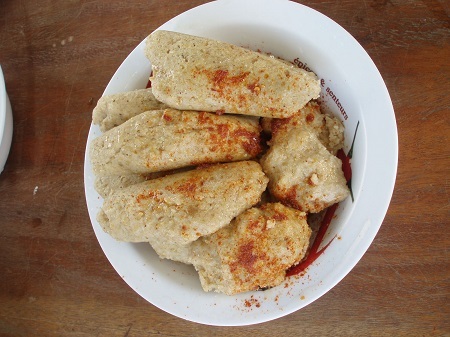 Our first post here was about harvesting maize and now we continued our project and cooked some traditional maize meals. 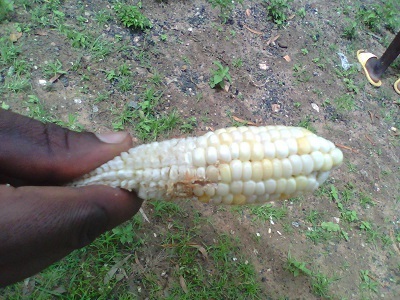 Maize is sold in the fresh or dry shelled state in the local markets. The marketing of maize is done by many middlemen. Maize is eaten by roasting and boiling at the fresh state. 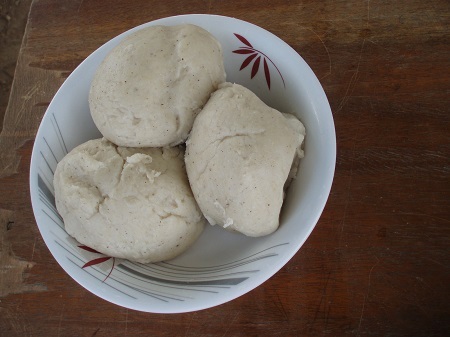 Maize is locally used in making food such as “kenkey”, “waha”, “goya” (“tubani”), porridge, tuo zaafi (TZ), “mgmera”, rasta porridge, “banku” among others. 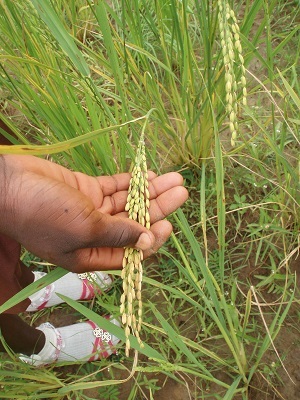 Both grain and leaves are used to feed farm animals. 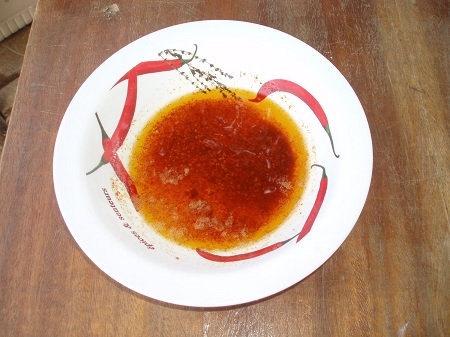 It is also used in making alcohol (“pito”), corn starch, corn oil, corn syrubs and sugars. The husks are used to wrap food (“kenkey”) and to wave doormats. 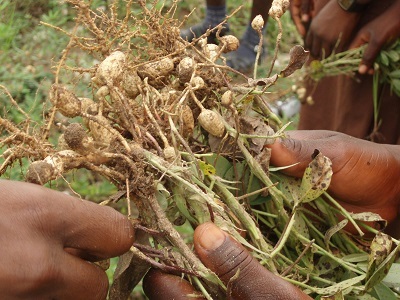 The stalks are used as fuel (firewood) food cooking and mulching soils. How we prepared the dishes? Watch our video and find out! Students from Daborin Primary School wrote about their (school)days and how Mondo-supported school lunch has helped them. When I get up at home in the morning I wash and come early to school. I got number from school. Before the assembly we have to sweep the school houses. After the assembly – lessons. 1.15 PM is first break, after first break classes and in the second break we get some food from the cooks. Sometimes we get „banku“, sometimes rice and beans, sometimes TZ. We enjoy it very much. It helps us because of school lunch we come to school and stay here until they close the school. My favourite food is rice and beans. I like rice and beans because if I eat beans every day it is very good to my body and to my blood and rice too is nice food. I come to school early. We are given brooms and we have to sweep the floors. We eat at 12.23. 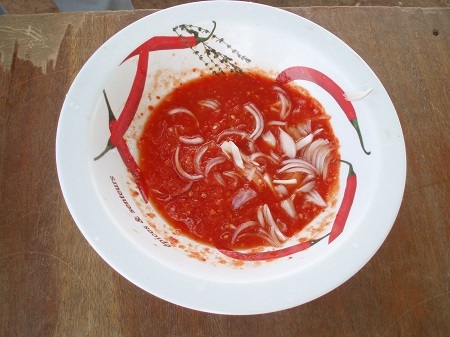 I like most banku and groundnut soup! When I get up in the morning before sun rise I wash my face. I take my breakfast. When it’s 6:00 I start going to school. When it’s 6:30 we will start sweeping the compound and picking the garbage. After 12:45 we will take lunch. The food helps us so many things. If we get up early in the morning and don’t eat anything, but at 12:45 now we eat lunch. After taking lunch, when it is 2:15 we will ring the bell for assemble and after that we go home. So food is very important and it is very tasty too. Thank you very much for what you have done for us. Teacher Liina from Estonia and us drawing the pictures about food. We, 6th grade students from Daborin Primary School, also painted some pictures about food. The materials (watercolours, brushes, papers, oil pastels etc) we used for drawings were brought from Estonia as a gift for us. Afterwards we made an exhibition in the classroom. And now you have the chance to see a short video about our drawings and listen to the African music at the same time. Have a pleasant time with our electronical art exhibition!